Energy and Economics - Features a hybrid or battery powered system that is simpler, faster and less expensive to operate and maintain. Comfort and Confidence -Maximize your operators potential with an ergonomic design that keeps controls comfortably within reach and the view unobstructed. 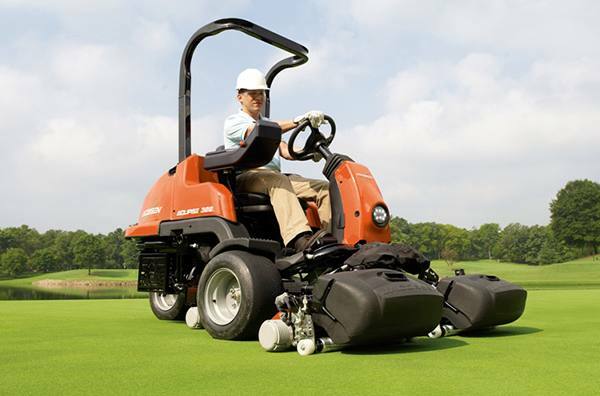 Versatility and Value - Numerous attachments available including the Turf Groomer®, Quick Roll™ attachment and a variety of rollers for the best playing conditions. Tradition and Trust - Uses Jacobsen Classic XP reels, trusted for the highest quality-of-cut at the top courses around the world. Overall Cutting Width: 62 in. 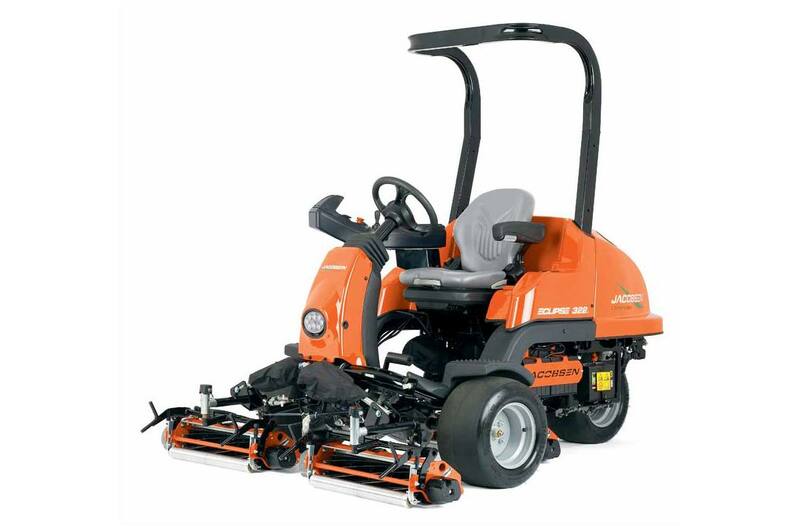 Height-of-Cut Range (Depending on turf condition, reel wear and bedknife installed): 0.062 - 0.438 in. Length with catchers on: 101 in. Height with OPS: 79.3 in. Ground Clearance (at reels): Front: 6.125 in. ; Rear: 4.25 in. Turning Circle: Inside: 20.25 in. ; Outside: 144.25 in. Approximate run time per tank: 10 hrs.